I love a good facial oil but masks have always been my favourite products to use. There is something so satisfying slathering on a facial mask and leaving it on for at least ten minutes. I never go to a spa or anywhere fancy like that so I'm all for having a mini spa at home. Masks are usually packed with just the good stuff and show immediate results, which is what I totally adore about them. I have a bunch of masks in my drawer (just the other day I was tidying up a bit and sorted all my masks in one drawer. I was quite shocked to see how many I have. I could actually open my own spa haha) so I decided to pick two with similar effects and the two I haven't really talked about here on my blog. 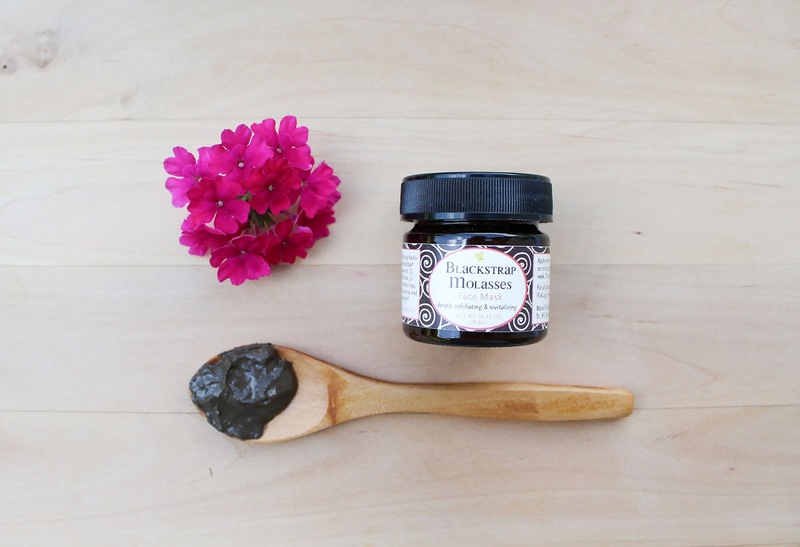 Earthwise Beauty Blackstrap Molasses Face Mask* - babes, if you ever want to try a product based on my recommendation, then this would be it. This mask is seriously good and ticks all the boxes for me. It's like the description says it is - firming, brightening, smoothing and softening. It really brightens my skin, makes my complexion more even and is just one of those masks you can always count on. Ava, the founder of Earthwise Beauty, uses such unique and amazing ingredients in her products and I thoroughly enjoy that. The hero in this product is, like the name suggest, Blackstrap Molasses. The hand-harvested, unrefined Blackstrap Molasses from Paraguay, to be perfectly clear. 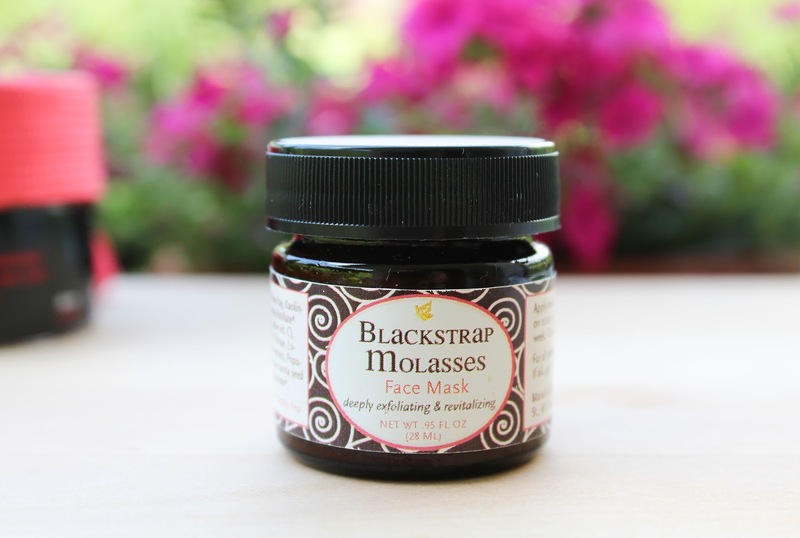 Rich in iron, calcium and magnesium, if I name a few nutrients, Blackstrap Molasses is a wonderful addition to a vegan diet and this highly bio-available dose of nourishing and skin softening vitamins and minerals is therefore the perfect addition to the blend. 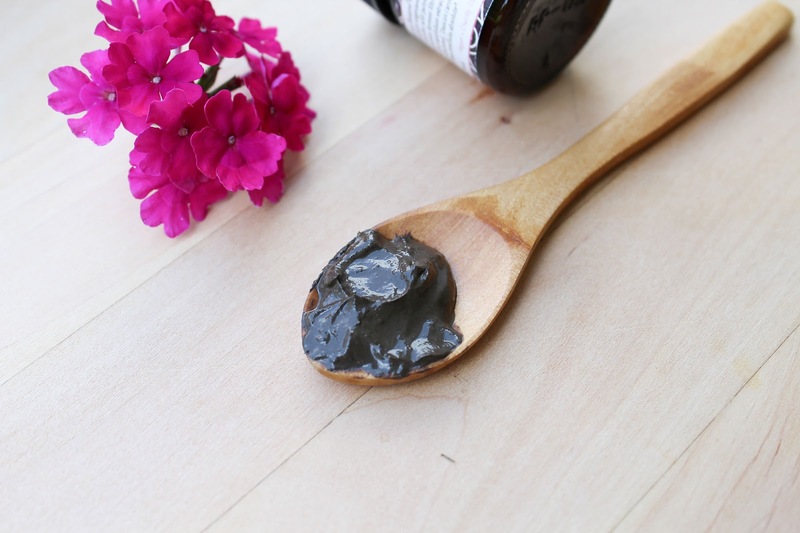 But not only that, it also contains detoxifying Hungarian Moor Mud, firming, pore cleansing Moroccan Lava Clay, anti-aging and anti-acne Organic Carrot Seed oil with its brown spot reducing properties and a few more. Love. I usually leave it on for half an hour and then easily wash it off with water. Like I said, it leaves my skin brighter, calmer and smoother. The mask dries up on the face so I sometimes like to mix in some honey. Not that it needs it but I also added some DIY Hibiscus and Rosehip Mask (check my blend here), to make it even more powerful and amazing. If that's even possible. One thing to mention. 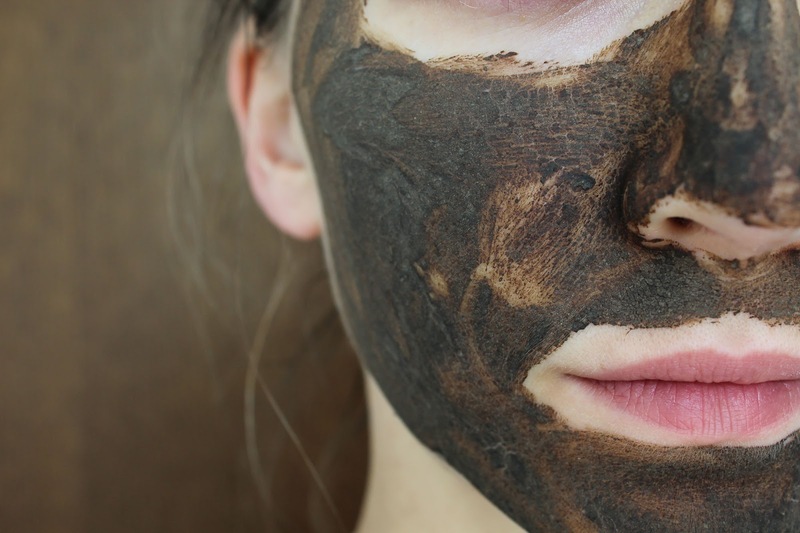 This mask is alive, it's a vibrant product made from hundreds year old mud and contains lots of probiotics, which means it can build up a lot of gas, like beer or kombucha. Not to worry though, my jar of mask didn't explode or anything like that, but it did grew some mold so this jar is actually my second one. The first one Ava so kindly replaced. The mask does contain preservatives but I would still rather go for the smaller jar so you can use it up before anything funky happens. Based on my experience I would also highly recommend storing it in the fridge (which is stated on the product as well) and to always use a spatula. If you fancy what you hear then you can use my code "Loveliness" and get 15% off your order. Here is my mask selfie and down below you can see how it looks when the mask dries up. 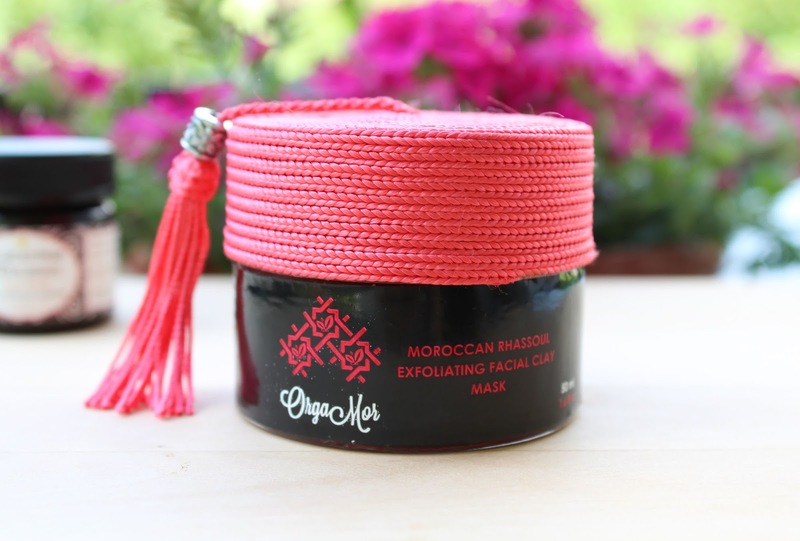 Orgamor Moroccan Rhassoul Exfoliating Facial Clay Mask* - I have Rhassoul Clay in my green beauty cupboard and I have always really liked it, but after I started using this mask, my love for Rhassoul Clay grew even deeper. 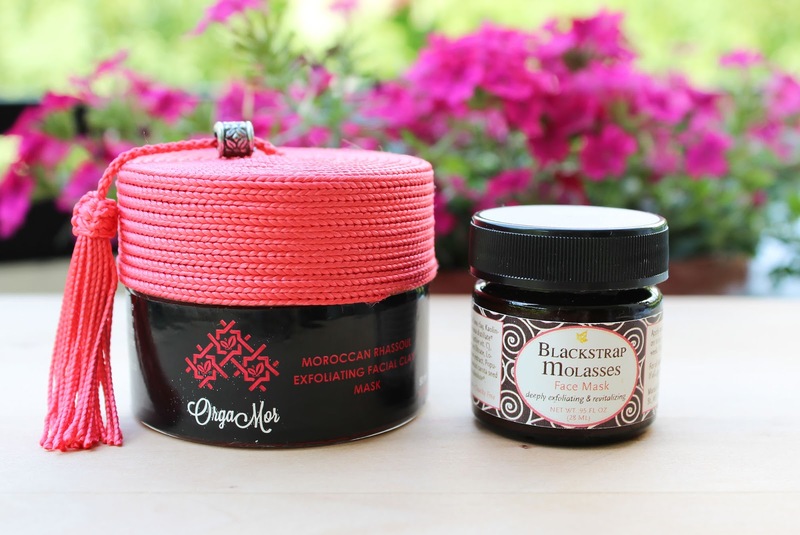 The combination of Moroccan Rhassoul Clay, Orange Flower Water and Moroccan Argan Oil is simple, right? Simple but very effective. I was expecting it would smell like oranges but I completely missed the word "flower". It smells sweet, floral, aromatic and quite strong and fragrant. I also thought it would be detoxifying yet moisturizing because of the Argan Oil. Well, it's very detoxifying (love) but not as moisturizing as I though it would be. Not that it's drying but all traces of Argan Oil disappear. It dries up on the skin and gives a tight, slightly tingly feeling. It's powerful alright. 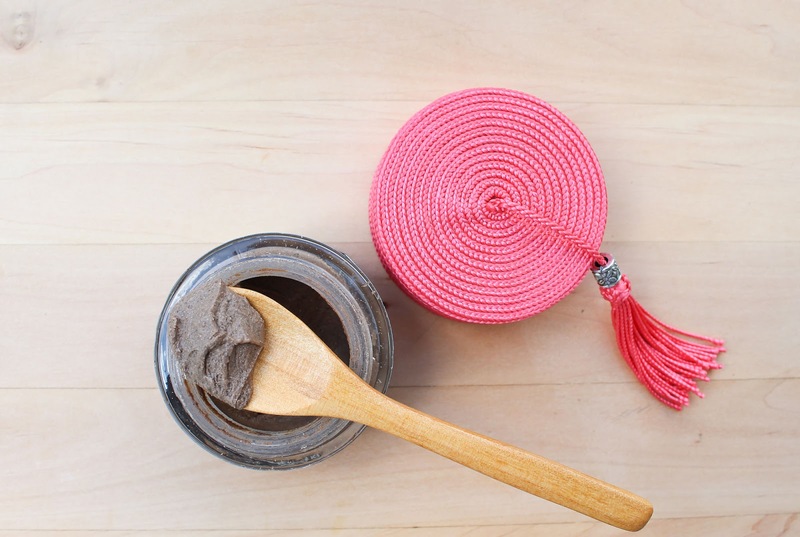 Even though it may sound strong it's not irritating at all (I heard Rhassoul Clay is great even for sensitive skin). It leaves my skin in a much better condition that it was before masking. I leave the mask on for about ten minutes and then wash it off with water. Like I said, the mask dries up and then it needs quite a lot of water and massaging to soften it and wash everything off. 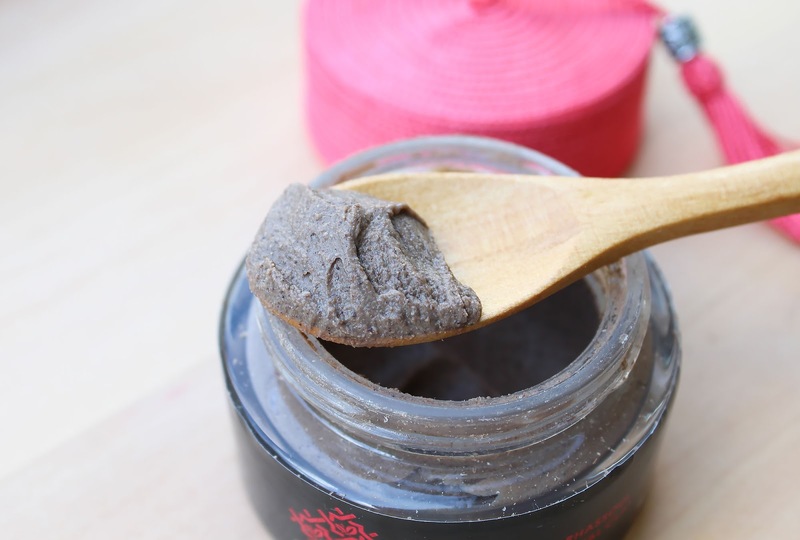 But in doing so, the mask acts as a gentle exfoliator and leaves my skin smoother. Beautiful concoction indeed.